Italian born and Australian based photographer Rocco Ancora is one of the most prolific and awarded photographers in the wedding and portrait industry. His work is often described as emotive, dramatic, romantic and has reached a level of sophistication only possible by his pursuit of excellence over his 25-year career. Nikon Ambassador, Rocco has won the AIPP (Australian Institute of Professional Photography) Australian Wedding Photographer of the Year award for an unprecedented four times. He's one of only three people in the world to achieve Grand Master of the AIPP and WPPI (Wedding and Portrait Photographers International) in the United States; where he is the third most awarded photographer of the organization. 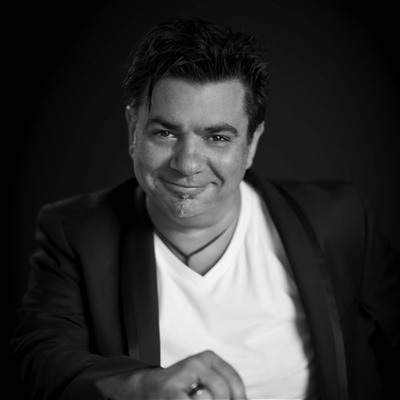 Rocco has shared his knowledge for over 15 years by teaching photographers all over the world in over 20 countries. He is not only an in-camera artist, but his colour and black and white darkroom experience in the nineties helped him to master the art of digital post-production with the flair and finesse synonymous with the Ancora name. An active working professional wedding and portrait photographer, Rocco's company, Capture to Print also offers fellow photographers a wide range of services including, raw file conversion, photo and album retouching, fine art printing and an exclusive competition print and mounting service. As one of the world's preeminent master printmakers, Rocco presents his Capture to Print workshops and one on one mentoring so he can empower photographers to master the art of post-production and printmaking themselves. Whether you want to be photographed by him or learn from him, you will experience an artist who is widely considered a master's master.